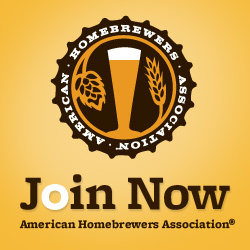 There are so many stories about breweries in trademark disputes. We’ve heard about breweries having to change their name, or change the name of their beer, or even being sued for 800 thousand dollars. Following the proper procedure to register your trademarks is one important way to protect you and your brewery. A trademark is a word or design that is used to identify your company or your product. It can be the generic, plain text, to protect the words, or it can be stylized to protect the design, such as a logo. A slogan can also be a trademark. To fully protect your brand, you should register your trademarks with the U.S. Patent and Trademark Office. 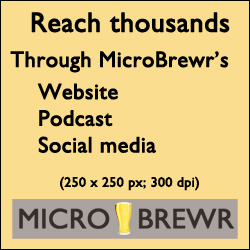 Paul Rovella, told us all about trademarks on MicroBrewr Podcast episode 044. This column is the work product of L+G, LLP, which has offices in Hollister and Salinas. Paul A. Rovella, Esq., an attorney with L+G, LLP, and Max Giacomazzi are the authors of this work. You may contact Paul A. Rovella at www.lg-attorneys.com. Once you have decided that you would like to apply for trademark/service mark protection (see part 1 for a primer on trademarks and service marks), it is time to apply to the United States Patent and Trademark Office (USPTO) for protection. Please note, it is not necessary to register a trademark with the USPTO in order to protect it, there are still common law protections for trademarks and service marks based on use in commerce, however, registering a trademark or service mark provides certain benefits, including but not limited to nationwide public notice of ownership and a presumption of ownership of the mark and exclusive right to use the mark nationwide, on or in connection with the goods/services listed in the registration. To apply for a trademark, you must first decide on the mark you are going to use. There are several important factors to consider when selecting a mark. First, there can be minimal likelihood of confusion with other existing marks. Second, your mark should be easily defensible in court, or be a “strong” mark. Marks, according to the USPTO, are placed into four categories. The strongest marks are arbitrary and fanciful marks. These marks have no relevance to the goods being offered, and so are the most easily defensible, such as BELMICO Insurance® or BANANA Tires®. The next category is suggestive marks. Suggestive marks suggest, but do not describe, the goods being offered. This would include PAGE-A-DAY Calendars®. Suggestive marks are also considered strong marks. The next category is descriptive marks. Descriptive marks describe the goods being offered, such as CREAMY for yogurt or WORLD’S BEST BAGELS for bagels. Descriptive marks are considered weaker marks, because it can be difficult to defend them. Generic marks, which don’t even qualify as marks in the legal sense, are the weakest types of marks. This would include BICYCLES for a bicycle retail store or MILK for a dairy-based beverage. After you have decided on a mark, make sure you do a trademark search to see if any other marks are out there which might be confused with yours. The Trademark Electronic Search System (TESS) is offered by the USPTO for free and is available 24-7 through http://www.uspto.gov/trademarks/ at “TESS search trademarks.” If you do find a mark that is similar enough with yours that there may be a likelihood of confusion, then you must pick or design a new mark. Applying for a trademark is complex, and requires adherence to all parts of the trademark code. Many people hire a lawyer specializing in trademark applications to speed up the process, and make sure that no part is missed. All trademark and service mark applications can be filed electronically using the Trademark Electronic Application System (TEAS) on the USPTO website. You can also file on paper, but filing online is much easier and faster. There are two different applications, the TEAS and the TEAS Plus. The TEAS is $325 per mark per classification. The TEAS Plus is $275 per mark per classification, but you must meet some extra filing requirements. Once you file, you will receive a filing date, which is important because if there are two similar marks seeking trademark protection from the USPTO, the one filed first will get priority. However, there are some exceptions to this, such as if a mark which has been in use applies second. In this case, the second applier has rights. There are a few things that must be included in the application, such as the owner’s information, a drawing of the mark, a description of the goods or services represented by the mark, and for use-based applications, depiction of the mark being used in the stream of commerce. Once you submit the application online, your materials will be reviewed by a reviewing attorney with the USPTO for conformity to the USPTO rules and regulations before publication. Image showing USPTO@Alexandria by Kazuhisa OTSUBO on flickr (CC BY 2.0) was modified from its orignal state.